This article originally appeared at the newsandobserver.com. Ken Burns and Lynn Novick’s 18-hour Vietnam documentary promised totally new revelations about how and why Vietnam became one of the most polarizing experiences in modern history. Without question, the footage of the war inside Vietnam was graphic and sensational. Watching American soldiers risk their lives to save another wounded GI, experiencing the terror of walking through a Vietnamese forest into an ambush, seeing a South Vietnamese officer blow away a Viet Cong captive – all of this brings the war home in a way we’ll never be able to forget. As we follow individual veterans and their families, and also hear from Vietnamese people, from the South and North, we gain a profound new understanding of how and why the lives of those who fought in Vietnam were transformed. But this was supposed to be study of the whole Vietnam experience, including how the history of this war evolved; what the pivotal turning points were; why and how the country came apart at home over American policy in Vietnam. On this set of issues, the Burns-Novick documentary is less successful. It does little to address the history of the war and fails to probe deeply its critical turning points. We learn – briefly – about the alliance between Ho Chi Minh and the Americans toward the end of World War II. But too little attention is devoted to how strong the alliance was – for instance, there’s no mention of U.S. warplanes flying overhead to salute Ho Chi Minh at his presidential inauguration. Even more important, there is no exploration of how and why three years later America allied itself with the French in their colonial occupation of Vietnam, or how the Cold War was pivotal to that shift away from staying allied with the Vietnamese against colonialism. 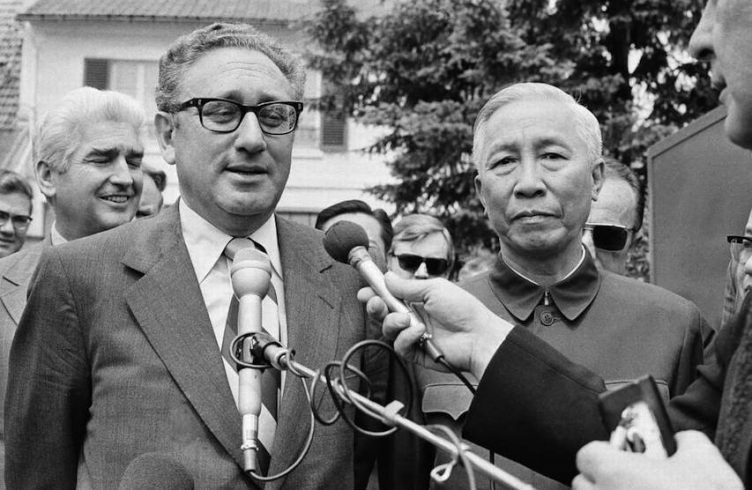 If we did not need to woo the French into joining NATO, would we have abandoned the Vietnamese? The question is never asked. And though the documentary mentions President Kennedy’s disaster with the Bay of Pigs invasion and his terrible meeting with Nikita Khruschev in Vienna, not enough is said about how Kennedy’s decision to increase America’s troops in Vietnam was primarily a signal to the USSR of our intention to fight Communist expansion elsewhere (another instance of the Cold War’s importance). Nor is there any mention of Kennedy’s rejection of Pentagon demands for more troops, or his statement to aides that he would negotiate peace with Vietnam once he had defeated Barry Goldwater in 1964. Also of concern is the documentary’s failure to explore dissent within President Johnson’s administration. Assistant Secretary of State George Ball wrote a series of memoranda calling into question LBJ’s escalation – memoranda that prompted lengthy debates. Yet Ball gets 30 seconds of mention in the documentary. We do learn of Robert McNamara’s growing doubts in 1966 and ’67, but less about the degree to which others in his administration had turned against the war. Most egregious perhaps is the way the documentary deals with how peace negotiations in the fall of 1968 were subverted by Richard Nixon. In the discussion of the ’68 presidential campaign, the narrator notes that a mysterious someone alerted the Nixon campaign to the potential of a peace settlement, which then led Nixon to intervene with Vietnamese officials to sabotage the negotiations. Never does the program tell us that the informer was Henry Kissinger, who would soon be rewarded by becoming Nixon’s National Security Adviser and later Secretary of State. It was a pivotal turning point, extending the war by four and a half years and causing hundreds of thousands of additional casualties. Finally, we are shown only part of the anti-war movement. Yes, it involved radical university students who burned their draft cards and vilified the police. But it also involved countless others who petitioned peacefully, ran anti-war Congressional campaigns and held peaceful teach-ins. The Burns-Novick documentary pays too little attention to the breadth, depth and passion of the anti-war movement – one of the major reasons why the country came apart in the late 1960s. So while it is important to praise this work for its extraordinary success in bringing home to us the horror of the Vietnam War, it is equally important to point out its inadequacy in providing a full rendition of the history of the war and its critical turning points. William Chafe is an emeritus professor of history at Duke University. A former president of the Organization of American Historians, he is the author of 13 books on post-World War II American history.